The Four Seasons Hotel turned 35, and Wagner Roofing turned 100. The other honoree this weekend was Wagner Roofing. Who? Take a look at the firm’s list of clients, easily a match for the Four Seasons roster: the White House, the US Naval Academy, the Maryland State House in Annapolis, DC’s Old Post Office Building, Lincoln’s Cottage, the Mormon Temple, the Smithsonian Castles, and the Washington National Cathedral. We could go on, but do we really need to? It’s not often that a Saturday-night country club party also features a display of tools. But this one did, including mallets, hammers, stakes, cleats, and soldering irons. Oh, and cocktails and sushi, too. 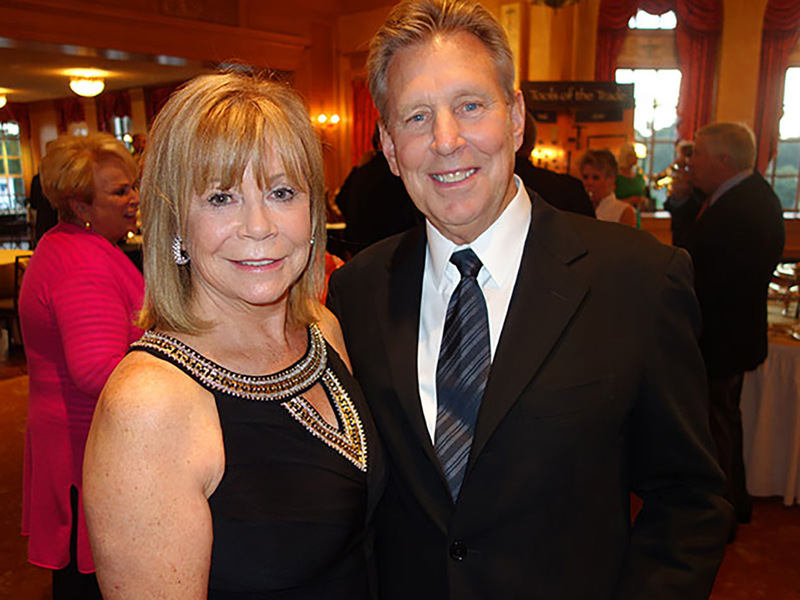 Sheila and Chuck Wagner, vice president and president of Wagner Roofing Company, at the 100th-anniversary party their company held on Saturday evening at Congressional Country Club.